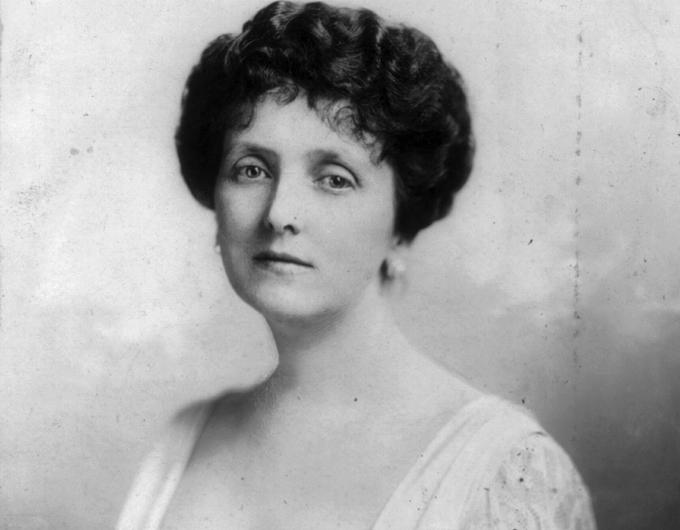 Emily Post (author of Etiquette), 1923. Image from Wikimedia Commons. Let’s get this out of the way: Whoever came up with “manspreading” should never be allowed to coin another word again, no matter how sorry he or she is. It’s a terrible word, I cannot endorse it, but somebody made it—so here we are. The “manspreader” is a man who sprawls in his seat on the bus or on the subway, thus taking up two or three seats instead of one. Such men have become the target of recent campaign from New York’s Metropolitan Transportation Authority, where “stop the spread” posters take their place alongside helpful reminders to stand up for the elderly and to refrain from molesting others. The phenomenon, for the record, is real enough: The manspreader takes his place alongside many subway pests, like “the person who leans against the subway pole” (also a target of this campaign, along with "women who put on makeup on the subway"). Until they began to be publicly shamed, these men did not have a friend in the world, at least so long as they were on the subway. Puritans? Maybe. Insofar as these feminist critics believe that most of our actions take place in an ethical sphere, they are puritanical in the most praiseworthy sense. Those who care about social mores—a description that fits a least a few of these columnists—share with them, at the very least, an interest in manners. And manners, in America, are also a Puritan endeavor: Arthur Schlesinger Sr. opens his history of American etiquette books, Learning How to Behave, with a discussion of Puritan legal codes. Today, however, when considering how to behave in public, one is more likely to turn to a source little nearer to hand: Emily Post’s Etiquette, now in its eighteenth edition. Etiquette assumed its place in a long line of advice books, dating back at least to Erasmus’s 1530 text, De civilitate morum puerilium. Erasmus and Emily Post were both codifying agreed-upon conventions while addressing a society in flux. (The year 1922 saw the publication of not one, but two, books by F. Scott Fitzgerald.) As a novelist, Emily Post was well-attuned to the power of manners; as someone whose husband had dragged her through the very public exposure of his infidelity, she was also sensitive to the lack of them. Post promised to teach her readers how to behave in “Best Society” (a term Post attempted to define, somewhat unsuccessfully, without reference to birth or money). Etiquette, so often an invisible code meant to separate out those not brought up with it, would be made egalitarian. But Post also drew attention to the principles behind the rules. What looked from the outside like an arbitrary code was in fact meant to teach kindness and consideration. The rules themselves were fairly flexible; the principles were not. But though her critical popularity waned, Emily Post continued to provide help to those who needed it. (GIs seeking to re-integrate into American society after World War II would buy, according to Claridge, “16,000 copies a week.”) Emily Post might have been a stodgy child of privilege; she might, today, have been characterized as “shrill” or “puritanical”; but, like many etiquette writers and advice columnists, she was doing the closest thing we have to public moral philosophy. Those who take up her work deserve our respect, not our scorn. A concern with “manspreading” is easy to mock. But columnists who want to dismiss feminist criticism—or “social justice” terminology more broadly—should recognize that they are really dismissing the careful maintenance of civil society. Words such as "privilege," "microaggression," and "trigger warning," at least in their popularized form, are really statements about manners. Instead of appealing to personal virtue, the language of social justice appeals to impersonal systems. But in day-to-day practice, it doesn’t make much of a difference: The wealthy man shouldn’t preach to the poor one that money doesn’t matter. Someone planning a pig roast shouldn’t invite his kosher-keeping friends unless he can accommodate them. Before screening Irreversible in his French film class, a professor should probably tell his students what’s coming. And if the subway is looking crowded, it’s only polite to take up less space. Taking up too much space on the subway isn’t a capital offense; it’s not even really wrong. As a tiny inconsiderate action, however, it can make up a whole host of behaviors that end up shaping someone’s character as well as our own for the worse—both through callousness and through negative overreaction. As far as proper posture for sitting goes, Emily Post offers up this piece of advice in "How to Sit Gracefully," both for formal occasions and for sitting "in public": "A gentleman in paying a formal visit [does not] sit on the middle of his backbone with one ankle supported on the other knee, and both as high as his head." If nothing else, that lets us know what side of the "manspreading" debate Post would be on. B.D. McClay is the associate editor at The Hedgehog Review.